Growing a church isn't easy. It takes dedication, hard work and good planning. Even though there are tons of books and blogs out there about it, many churches still struggle in attracting new people. Despite the latest greatest growth strategies, friends inviting friends is still the most effective way to bring new people to church. 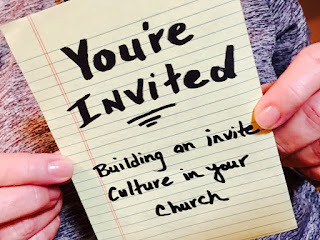 When people become intentional about bringing their unchurched friends to church, they get to witness life change up close and personal...and when that happens, the church moves into a culture of invite.